The 20th century has witnessed crucial changes in our perceptions of Europe. Two World Wars and many regional conflicts, the end of empires and of the Eastern Bloc, the creation and expansion of the European Union, and the continuous reshaping of Europe’s population through emigration, immigration, and globalization have led to a proliferation of images of Europe within the continent and beyond. 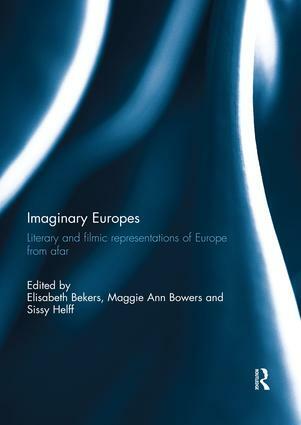 While Eurocentrism governs current public debates in Europe, this book takes a special interest in literary and cinematographic imaginings of Europe that are produced from more distant, decentred, or peripheral vantage points and across differences of political power, ideological or ethnic affinity, cultural currency, linguistic practice, and geographical location. The contributions to this book demonstrate how these particular imaginings of Europe, often without first-hand experience of the continent, do not simply hold up a mirror to Europe, but dare to conceive of new perspectives and constellations for Europe that call for a shifting of critical positions. In so doing, the artistic visions from afar confirm the significance of cultural imagination in (re)conceptualizing the past, present, and future of Europe. This book was originally published as a special issue of the Journal of Postcolonial Writing. the links between storytelling, ritual, and law and sovereignty in Native American writing.